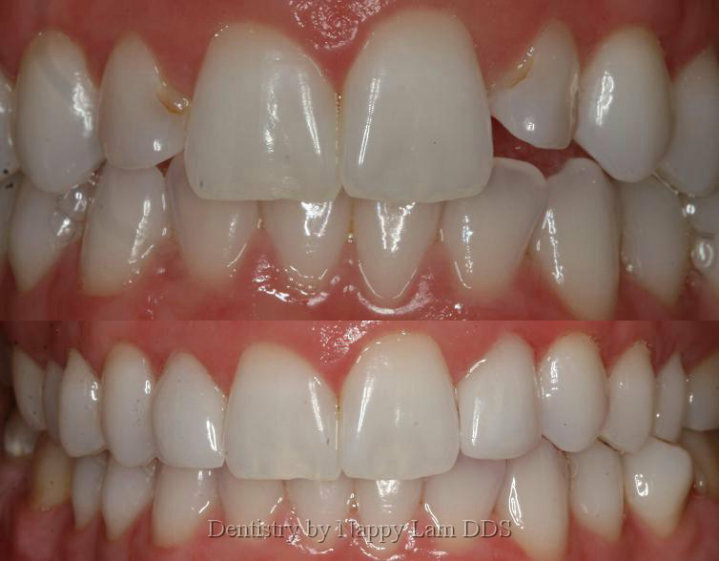 Only 2 veneers were done in this case to correct the length issues. 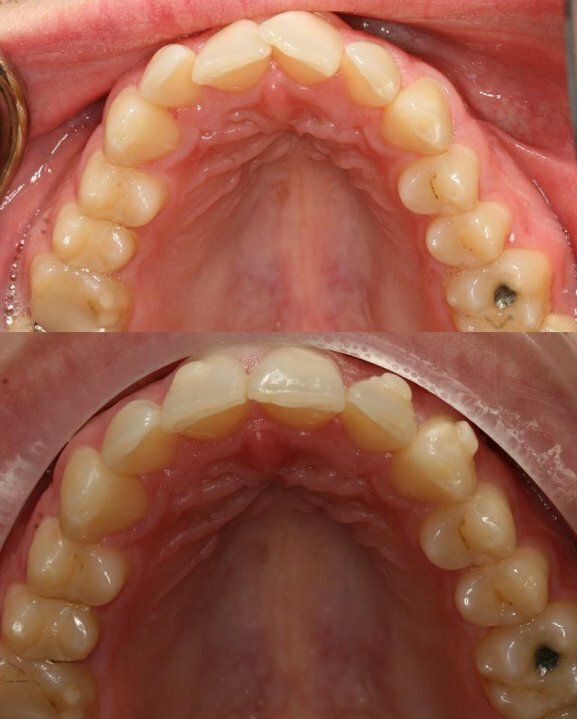 Note the amount of overlap the 2 front teeth had prior to treatment. This patient only was in town for 24 hours. 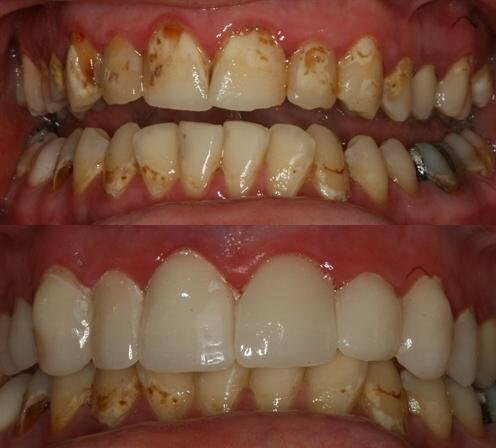 We did this case to the best of our ability in the time allotted infact time ran out before we got to work on the lower teeth. 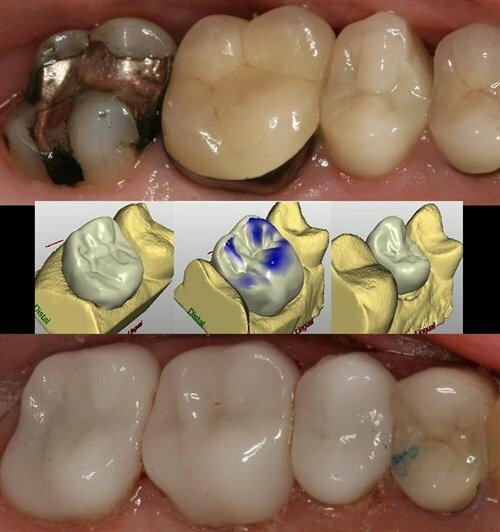 Old leaking amalgams replaced with porcelain onlays, done in about an hour utilizing CAD/CAM technology. 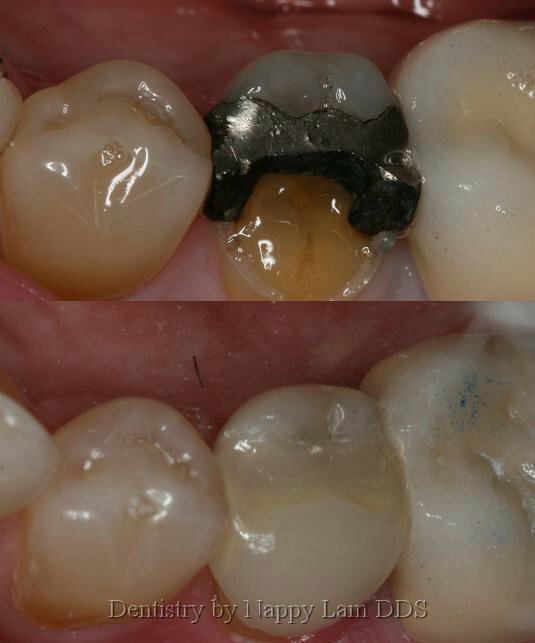 Here is a leaking and failing amalgam(silver filling) that was replaced with a CEREC CAD/CAM crown. 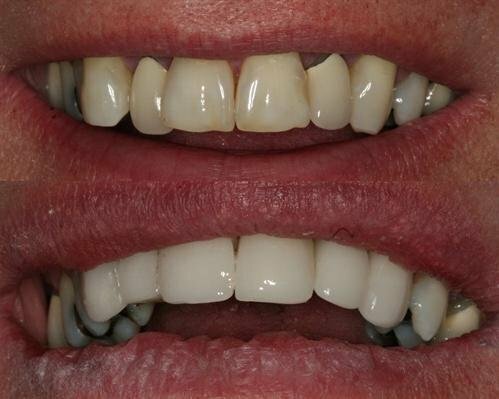 This patient chose the very lightest shades for her quadrant of crowns. 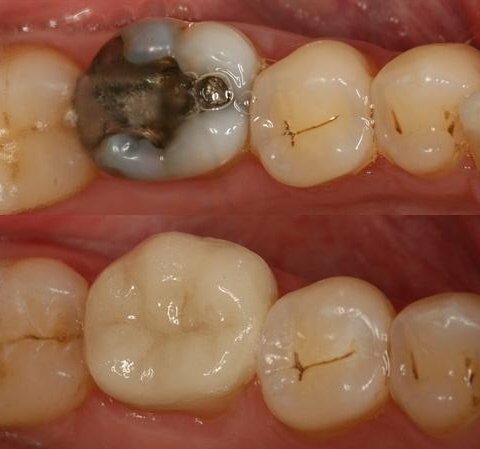 This patient broke off the cusp of the tooth while eating a brownie. 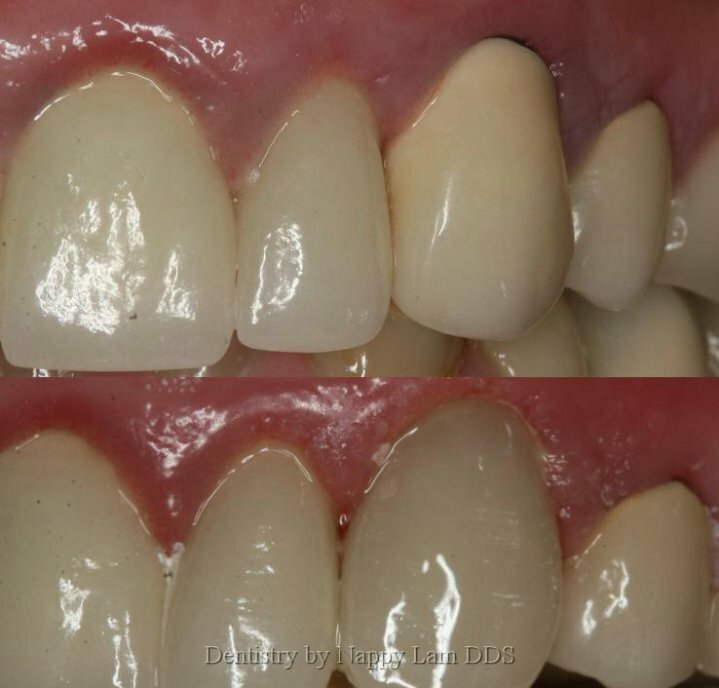 We placed a porcelain onlay to conserve the tooth structure that was remaining. 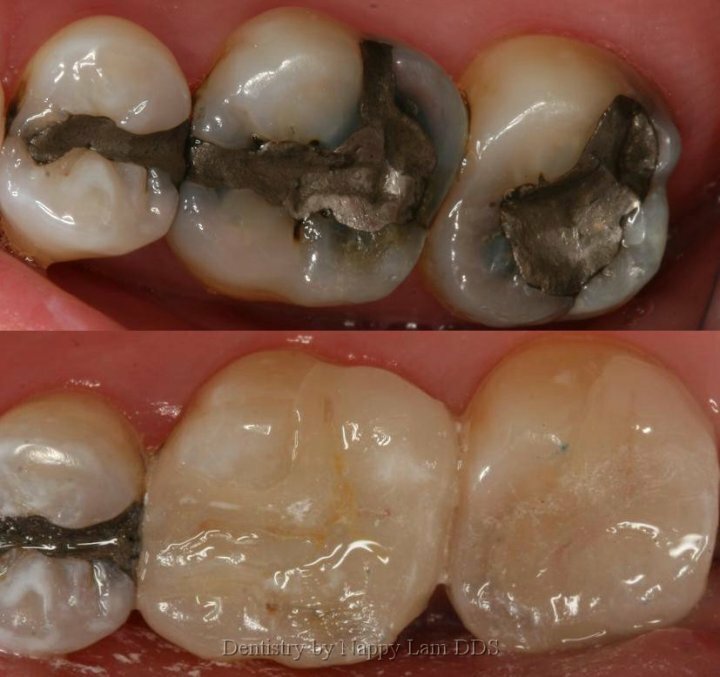 This patient had decay underneath an existing leaking amalgam filling. 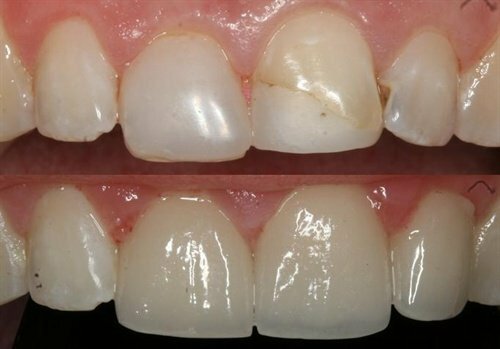 We replaced it with a porcelain onlay to conserve tooth structure. 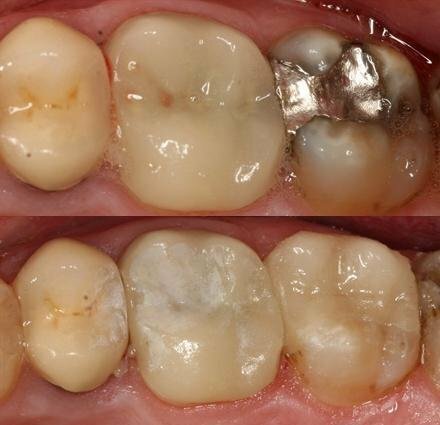 It is quite common to have dark margins around teeth that have been crowned. We can fix these problems as shown here. This patient had this piece of tissue that she kept biting on. 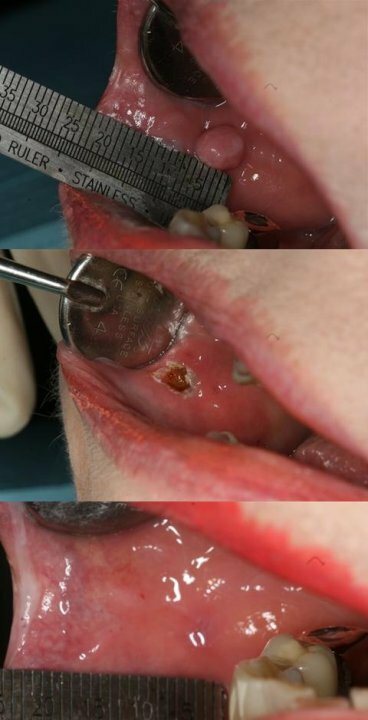 After a small amount of anesthetic was placed around the tissue, a laser was used to excise it and it was later found that this was a benign or harmless piece of tissue.